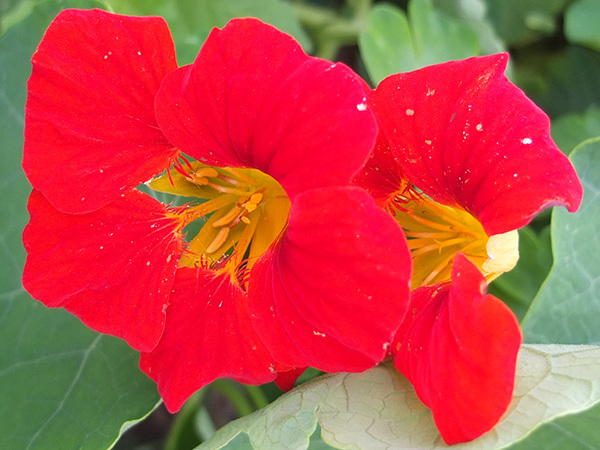 In winter I enjoy ordering different coloured nasturtiums from the seed catalogue. They are easy to grow, and I particularly like this subtle lemon colour. 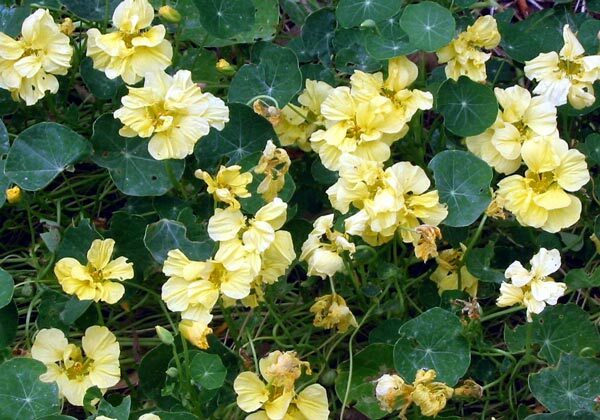 I usually have some Nasturtiums growing in pots. I have a patch of bright mixed orange nasturtiums which covers part of the bank of the water race by Duck Lawn all summer. These are allowed to live without any outside help or hindrance. And I planted some mahogany coloured seedlings in the top of the Herb Spiral. They are now self-seeding every year. 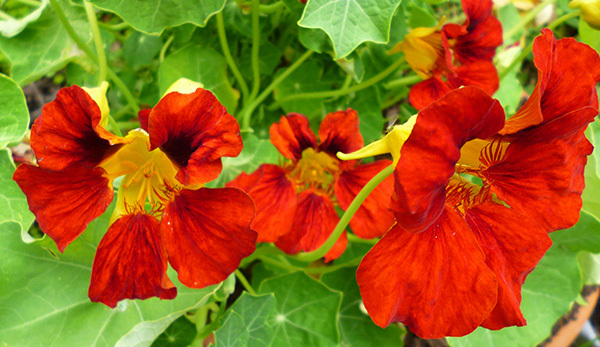 Nasturtiums are great for a cottage garden look, or to grow as colourful cover for rough ground. There's now a huge patch growing in the new Allotment Garden, most of which are a brilliantly bright scarlet colour. I don't ever remember planting the first one, either. The joy of self-seeding annuals once again shines through.